Freelancer Finding Script offers competitive freelance marketplace which takes you to build your own freelance platform used to set up the business on the smaller investment. Multiuser Freelancer Script makes the medium for the business interactions where the employers will search based on their requirement of project upon own affordable charges and freelancer will get hired based on their best talent they involved in the previous project that drives on a flourishing platform to be inactive always by doing or providing a job so it is a dominant work that moulds you to run a noted business throughout. The Freelance Clone Script cost effective trendy approach in the market designed with innovative features helps to outsource the business which the employer would like to make them work as an employee in functionalities of bidding module. Our script is very favorable for both the entrepreneurs and freelancers return the major earnings in its own way. Our Freelance Opensource Script faces the user login, company, freelancer and admin logins. Initially, a user has done the process of registration to get the entry to access the site. 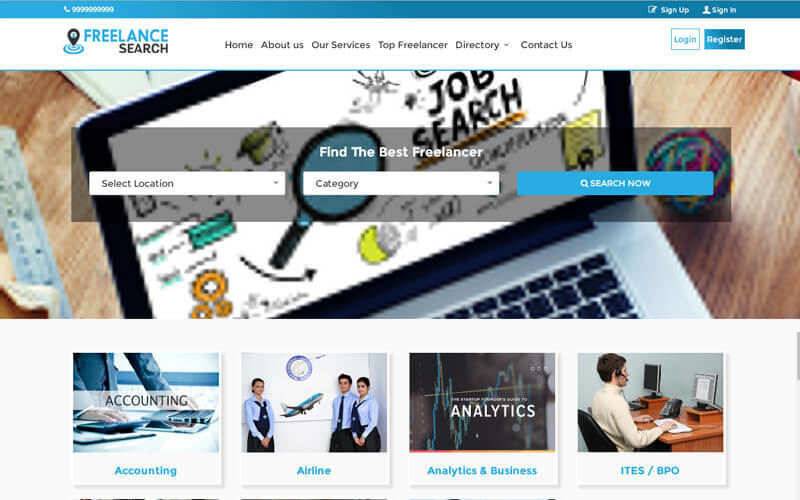 Then, can view the overall freelancer list with the details of education, technical details, portfolio, and project work from the higher standard along with their review and ratings are given by previously worked clients which is beneficial for the employer come to get know about the overall perspective view about the freelancer. Through this Freelancer Resume Search Script, companies also can be registered to contribute to giving work to the freelancers by the search that matches the needs of the technical knowledge freelancer. As a registered company can view the contact number to reach the freelancers and download the resumes to understand the area of expertise also after the completion of work can promote the freelancer by reacting in review and rating. In this Freelancer Search Script, an admin has the power to show control over freelancer and companies. Admin has legal rights to approve or deny the registration by the company or freelancer and can send the company enquired details to freelancer via Email. This script enclosed more profit yield modules like featured membership plan and ads management. We are providing a highly customizable script to you for the motive of user-friendly and bug-free product that to deliver also we give assurance of not facing more difficulty to be in reach with the market because we used advanced concepts of SEO that makes you friendly with the search engines. More than that if you still have any of the issues while the use of our script we are offering 1-year tech support to make you comfortable to stand in the field. This script has many attractive revenue models for job board agencies. Go with this to earn monetary business.